The other vegetables tend to get crispy whereas the zucchini has to be watched closely so it doesn’t get watery. It can go from perfectly al dente to watery to overcooked in a minute. That doesn’t mean I haven’t had successes…. And this one… with fresh parsley and Parmesan. Use a big skillet and have it hot before you start cooking. 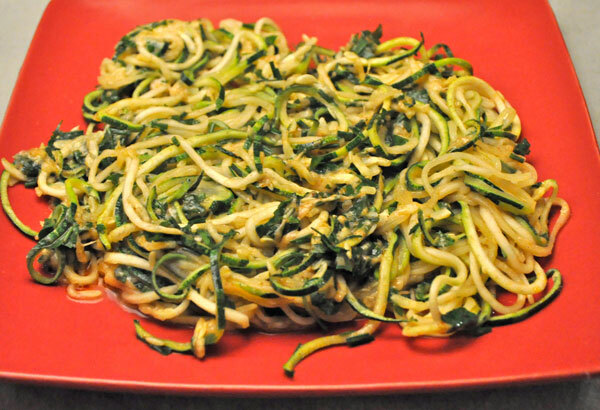 Add zucchini and sauté 4 – 5 minutes, until just tender. Add butter, parsley, Parmesan, toss to combine and serve. The winter squash harvest has started. I noticed that some of my acorn squash were turning orange which means they’re getting too ripe. Normally I start picking the winter squash in October, not the first part of September, but who am I to argue with nature…. 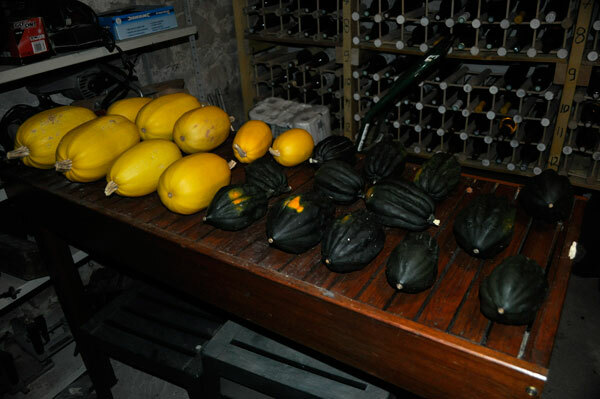 The plants reach full size and produce squashes. Then the plants start flowering again and producing more squashes. Again…. who am I to argue? I picked the first lot of acorn squashes and spaghetti squashes. Then, as long as I was wondering around with my secateurs, I picked the Delicata that looked ready and the some of the Crown Prince. The Crown Prince are the grayish blue ones. There are 2 more in the potager. They average 9 lbs. I have no idea what I’m going to do with them…. 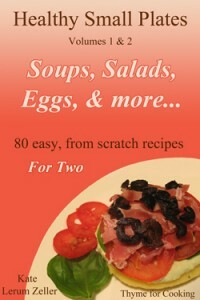 Make a lot of soup? The orange one is the mutant. There are 4 more of those in the potager. I wish I knew if it’s going to be worth it. It started out dark green. All of the Butternut squash are still waiting, including a few new ones. Oh yes….. there are still 2 zucchini plants that produce every few days. I thought my cukes were done because the plants had started to turn gray and the cukes themselves had really slowed down. This past week, the plants have greened up a bit and there are hundreds of flowers again! I’ve eaten enough squoze cukes to last through the end of next year 😉 Also, we’re going on a short vacation this coming week and I’m still getting tomato after tomato. I’ve alerted the neighbors at this point to take what they want and next year, I might only plant One plant! I’ve canned them, tomato preserved them, am now freezing them though I don’t have much room in the freezer…OY! Mine stopped and started again…. As did the summer squash and the winter squash. 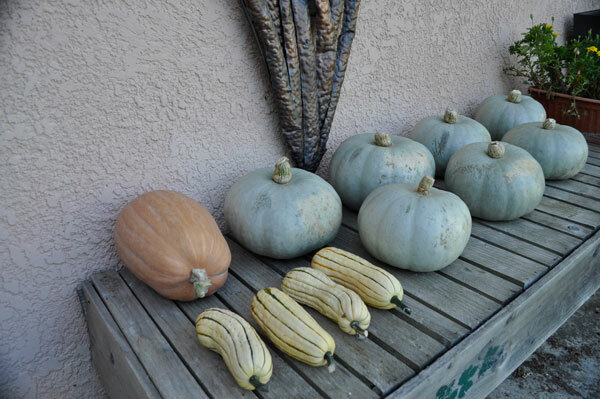 I picked the spaghetti squash and now there are 5 more ripening…… and more butternut…. OY is right! I might have to (eeeeek!) 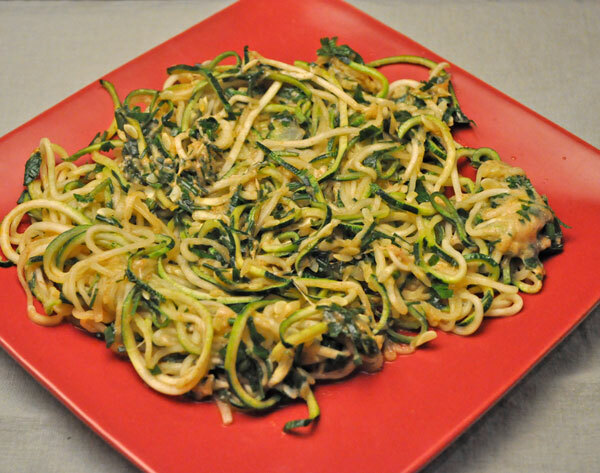 buy zucchini to try your Zucchini Noodles Parmesan….